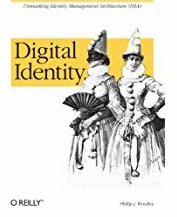 Via Kim Cameron comes this ACLU produced video of your worst digital identity nightmare. What keeps this from happening? I'm not sure. If you watch the video, you'll see that almost all the information that is revealed comes from two-party transactions where both sides have an ownership stake in the information from the transaction. By what right can I claim ownership of the data in a two-party transaction? I don't think that the mere fact that one party is an individual and one is a corporate entity is enough. John Gotze has improved his GotzeLink service and rechristened it "GotzeTagged." He says that it has some new features: Gotze Suggest, that suggests resources as you type. Choose between titles, categories/tags, or search log words. More holistic user interface. Increased and much improved system of relations between resources. Integration of social technologies and various web services. Del.icio.us etc. Improvements in the XML-feeds. Good work John! I think that next fall, I will use Web Services: Concepts, Architectures, and Applications by Gustavo Alonso, Fabio Casati, Harumi Kuno, Vijay Machiraju as the text in my large-scale Internet systems course. 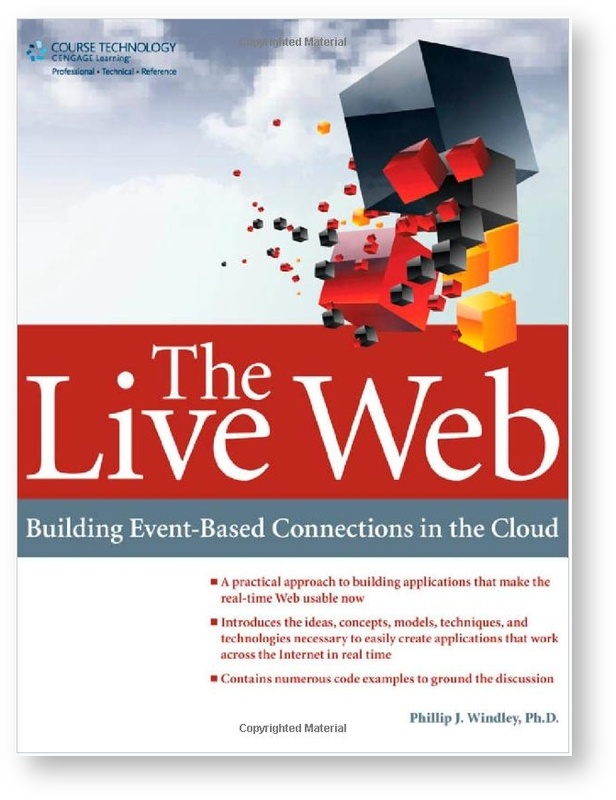 The book is talking of Web services in the broadest sense of the term and has a nice coverage of middleware as well. I like it. At Patrick Logan's suggestion I put together a Web page for my CS330 class that gives step-by-step instructions on parsing XML into Scheme using SSAX in DrScheme. I put together a small demonstration of how knowing programming language concepts and Scheme can help you understand XML. My point isn't to show how to do XML inside Scheme or to say Scheme is better than XML. My point is simply to demonstrate that the things my students have been learning in class, which can seem pretty disconnected from things they read about in the trade press, are actually on point. In this case, they see that what they've been doing with BNF, s-expressions, and data-driven programming can help them understand XML and how it is processed. I've posted an article on building customer interaction hubs at Between the Lines. A humorous look at becoming an IEEE author. Doc Searls quotes me on his latest Suitwatch: Building a Better Relationship, One Conversation at a Time. Steve Holden catalogues the technology and techniques that a dozen or so sites use to create their podcasts. I wrote up my own podcasting HOWTO a while back. And on the topic of innovation, I wrote a piece over at Between the Lines on why we shouldn't cry too much about the outsourcing of laptop design to Chinese vendors. GovTech picked up my story on shaking IT up in Utah and syndicated it on their site. I've had other, less public, interest in it as well. Dave Sifry's at it again with another cool way to look at the web. Technorati now features tags. Tags at technorati are the same concept as tags at Del.icio.us--informal categories that you make up on the fly. Technorati will automatically make tagged entries from the categories on your blog, or you can add this to your pages to make your own: <a href="http://technorati.com/tag/[tagname]" rel="tag">[tagname]</a> Here are a few well populated tags at Technorati right now: Blog Weblog Politics technology Technorati augments its material with links for the same tag at Del.icio.us and Flickr. CIO Magazine has a couple dozen stories that all start with What Its Like To... I enjoyed reading through them and hearing about other people's experience in the CIO seat. For example, Richard Clarke's description of what its like to brief the president is something you just don't read about that often. KSL is sponsoring an ugly logo content. Go vote for your, ahem, favorite. Qwade's got his blog going again. Welcome back! Design challenged people are always thankful for a helping hand and so I was grateful when Brian Sweeting offered to clean up the banner graphic I was using. I think the result is much improved. The shot, btw, is taken looking east from the soccer fields on 8th East in Orem one misty fall morning.